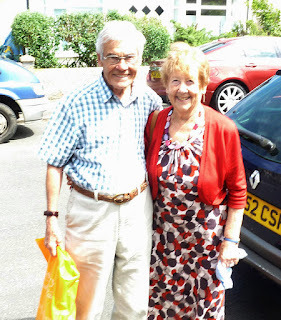 Visit to Hythe earlier this year by John Goddard, seen here with his wife Edith. Johnny joined The Thornton in 1949, was always on club runs and attended Tuesday evening clubroom nights regularly. He also rode many time trials and never lost his enthusiasm for the Thornton Club, which he still has today. Although he now lives in Farnham Royal, John was, and still is, a great friend to all those in the Thornton.